Various sentences including aggravated life and life in prison have been handed down to alleged coup plotters in trials taking place in Ankara. Turkey survived a military coup attempt on July 15, 2016 that killed 249 people and wounded more than a thousand others. Immediately after the putsch ruling Justice and Development Party (AKP) government along with President Recep Tayyip Erdoğan pinned the blame on the Gülen movement. Fethullah Gülen, who inspired the movement, strongly denied having any role in the failed coup and called for an international investigation into it, but President Erdoğan and the government initiated a widespread purge aimed at cleansing sympathizers of the movement from within state institutions, dehumanizing its popular figures and putting them in custody. The first investigations into the alleged coup plotters were launched in the early hours of July 16, 2016, and the suspects appeared in an Ankara court for the first time on Feb. 6, 2017. 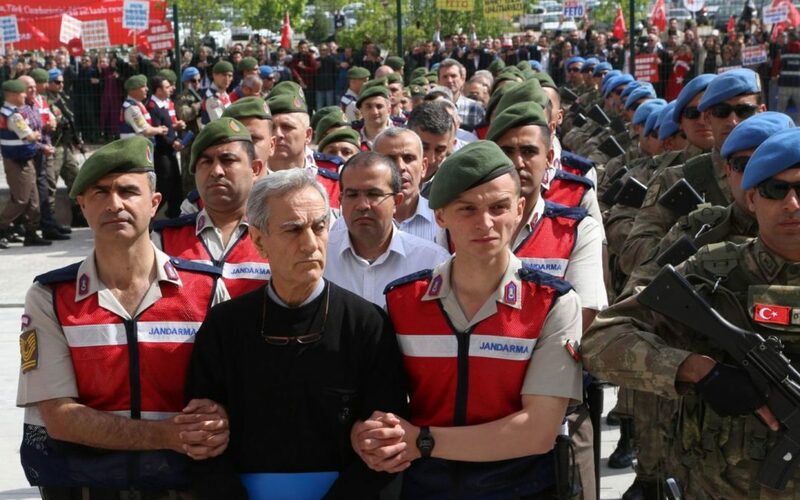 Up until the present time, nine coup trials have been concluded in which 148 suspects, most of whom are military cadets, have been acquitted. In a statement on Feb.10, Turkish Justice Minister Abdülhamit Gül said there were 38,470 people in Turkey’s prisons who were arrested or convicted due to their alleged links to the Gülen movement.